In 2016, the Charleston area Rite Aid’s raised $13,126, which was a 105% increase from the previous year. 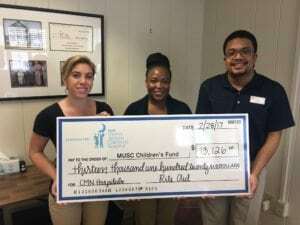 Rite Aid is one of our many corporate partners and we have 14 stores in Charleston and the surrounding areas who fundraise locally for the MUSC Shawn Jenkins Children’s Hospital. Their 2017 campaign begins March 19th and will run until May 6th. Please visit one of the Charleston area Rite Aids and when asked to donate to CMN Hospitals, know that your donation is staying local and going to help build the new MUSC Shawn Jenkins Children’s Hospital. Congratulations to store #11617 of Goose Creek, SC for being the highest fundraising location in 2016 and to store #11612 of West Ashley for having the highest percentage increase. 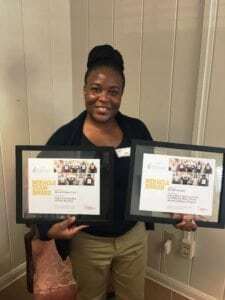 Another special thanks to Gigi Lewis of the Goose Creek, SC store and Nina Guzzo of the Calhoun St. location for going above and beyond in their fundraising efforts in 2016. We look forward to seeing what these stores can do in 2017. Nilber disse:Me responde sÃ³ mais uma pen8Ãrta&#g230;u© necessÃ¡rio ter uma bateria pandora para rodar o jogo?orque minha bateria nao Ã© pandora…e esde jÃ¡ agradeÃ§o sua ajuda!Obrigado! 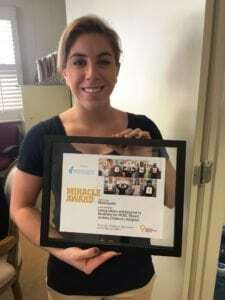 Previous post: Dance Marathon at CofC Raises $50K For The Kids! Next post: Free IHOP for Everybody!